McMurry Records, the label started in late 2009 by Howard Fields, Everett Zinn, and Doris McMurry, has signed Savannah Jack as its flagship artist. The trio, comprised of Don Gatlin, Mike Ulvila, and Jay Darby, celebrated the release of its debut single recently with a launch party at 12th & Porter. 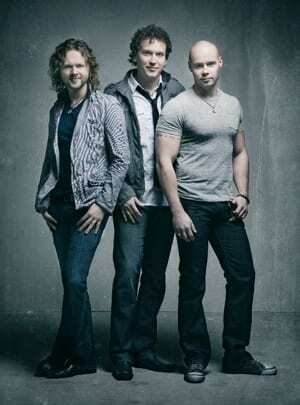 “I Know,” written by Gatlin, Billy Montana, and Rob Crosby, is at radio now and scheduled to impact May 3. The band has been recording its debut album at Blackbird Studio with musicians including Steve Ferrone, David Santos, John Jorgensen, Paul Franklin, and Steve Nathan. The project is slated for release later this year. Gator Michaels is VP, National Promotion at McMurry Records. Consultant Larry Shell is heading up A&R efforts. Claire Cook is overseeing publicity and marketing.